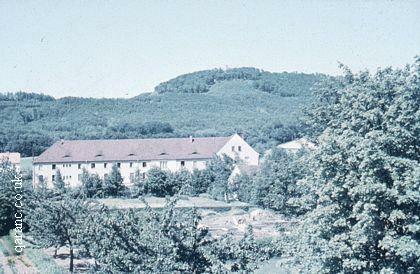 BMH Rinteln was one of several BAOR (British Army On The Rhine) army hospitals in Germany. It is now closed. The book Queen Alexandra's Royal Army Nursing Corps (Famous Regts. S) by Juliet Piggott has a photo of QA nursing staff working on the families ward of the British Military Hospital Rinteln. 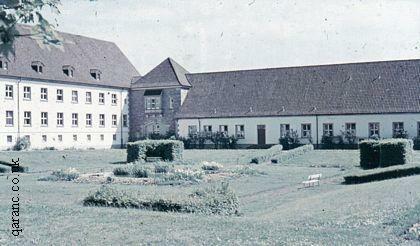 BMH Rinteln was previously an RAF unit in the late 1940s soon after World War Two. RAF Rinteln was then mainly staffed by Royal Air Force personnel though there was a small detachment of officers and other ranks from the Royal Army Medical Corps (RAMC) and a small number of QARANC sisters. 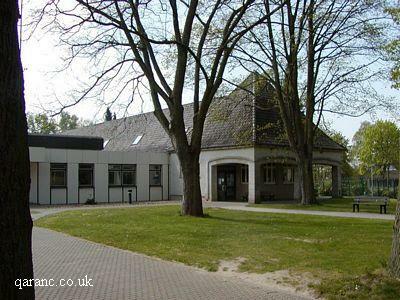 Sadly none of the QARANC.co.uk team had a German posting and would love to expand this page with more details about the hospital and include a photograph. If you are a former or serving member of the Queen Alexandra's Royal Army Nursing Corps we would love your help. 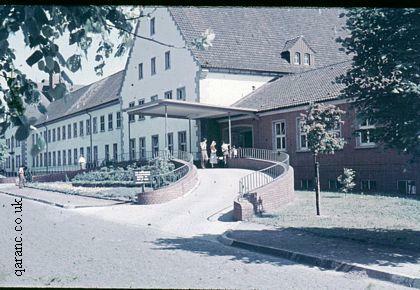 The following images of BMH Rinteln have been kindly provided by Phil Basford (Maj Retd RAMC) and were taken in 1959. I used to get into trouble for waking some of the children up early (5am) to feed the deer through their ward window - they loved it. 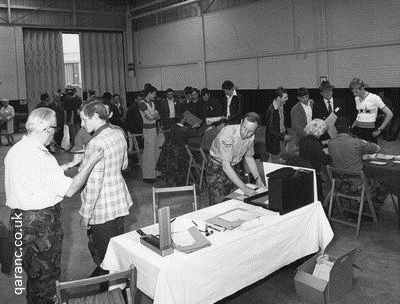 The two photos below are from the mid 1970s and we think they were the first Introductory Course to come straight out to BAOR. The orienteering team at BMH Rinteln which Phil says: was relatively successful, many of the trainee nurses (men and women) experiencing it for the first time. We played and worked hard. 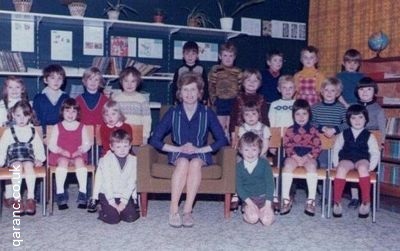 The student nurse in uniform is Anne Perry (nee Taylor), behind her is Dave Minden wearing yellow, in the burgundy jumper is Chris Higham, wearing the woolly hat is Ann O’Neil and wearing green is Lesley. Can you please help with other names? 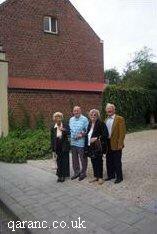 You may see some of the same faces when we visited Kaiserswerth on a regular 'history of nursing' visit. 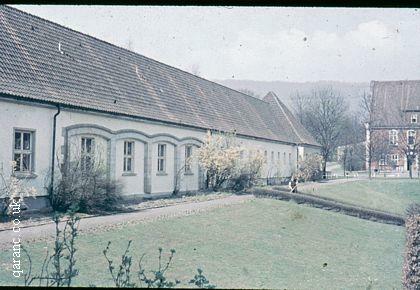 The entrance to BMH Rinteln from 1959 below can be compared to a modern day photo underneath and seems not to have changed much. Below are some memories of BMH Rinteln. If you would like to add your own memories and recollections of BMH Rinteln to this page then please contact QARANC.co.uk. As a wee lad I was in Rinteln at least twice between about 1956-59 with the usual childhood complaints like tonsils. I have a vivid memory of being on a small ward when a nurse asked me "Have you moved your barrels today?" Aged 8 or 9 I hadn’t a clue what she meant and was very confused because I’d been playing with a Dinky toy lorry that did indeed have miniature barrels as its cargo. I must have looked as daft as I felt because she patiently explained that to "move your bowels" meant had you done a "number 2"! I lived in Germany from 1954-1959 and then in Singapore 1959-1962 and also remember Alexandra Military Hospital in Singapore and its various outposts where we used to go for 6-monthly cholera jabs (ow!) and a supply of salt tablets. So I must have been a "customer" of you or your esteemed colleagues on a number of occasions. I can certainly remember bright red capes and very impressive headgear you don’t see in hospitals these days. All the best. Roger White. 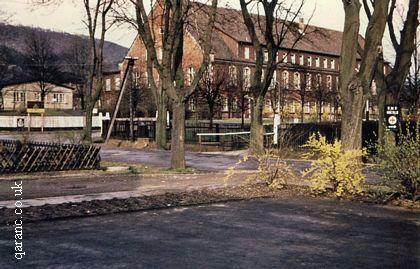 In 1969 we were posted to BMH Rinteln. We lived in quarters in Buckeburg before moving to a beautiful hiring up in the hills of Schaumburg. Im Tiergarten overlooked the Weser Valley. 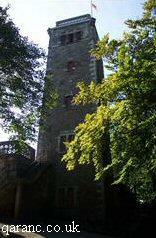 We had a massive garden which went up to edge of the woods below Schloss Schaumberg. In the winter, deer would come down to forage for food and we would watch them through the huge window in the living room. From the kitchen window we could see the farmer harvesting his hayfield with a scythe along with friends, family and neighbours. A communal bailing machine would come and make hay bales. I once saw the same farmer tie a pig by its leg to his barn door in preparation for its slaughter - poor thing! I do not think he would get away with that today! 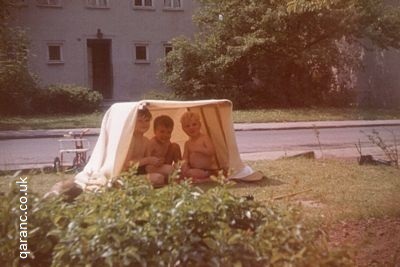 Our second son, Christopher, was born in BMH Rinteln in 1970. Paul attended the army school in Buckeburg. Buckeburg had a castle with a moat along with lovely gardens and parkland. In the winter families would ice skate on the moat. They would also ski down the slopes at the back of the army school. I well remember having to clear the deep snow away from the paths in front of our ground floor flat - you were personally responsible for this task. There were all sorts of obscure laws - no washing to be hung out or lawnmowing done on Sundays for instance. 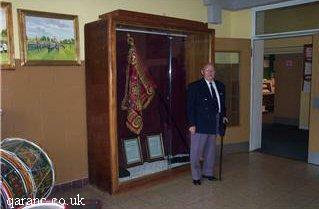 Our last posting was Tidworth Military Hospital from 1973-76. Here is John in his role as an RAMC Medic with a Doctor examining Reservists at Larkhill in 1975. This is a picture of my dad, Emmanuel Leah. 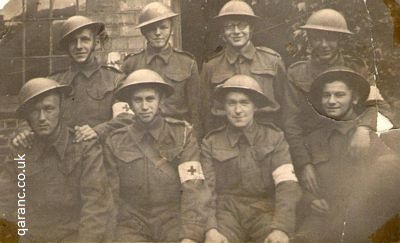 He was an ambulance driver with the RAMC and was evacuated from Dunkirk. He served in North Africa with the 1st Army, Italy, Sicily, Crete and all across Europe. He never spoke much about the War and used to let us play with his campaign medals until we lost them. His best friend Roy Howarth served in the RAF. Dad is second right on the front row. Mary now works at a homeless shelter as well as being involved with ex-Forces charities and NHS initiatives for former soldiers where she adds to the support for ex-Forces and their families. She is also a member of a choir specifically formed to raise funds for SSAFA. They will soon be recording a song written by a well-known songwriter which will be released later in the year. She also supports another services charity called Sanctuary for Veterans and is helping to organise an event which will be taking place in Tarporley, Cheshire to coincide with Armed Forces Day so if anyone lives in the area and would like to support the charity financially or as a volunteer please get in touch. Read about Mary’s earlier career in the QAs on the BMH Kluang page. 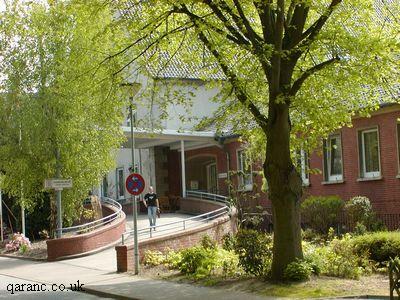 As an ex army wife I had both my children at BMH Rinteln and was grateful to the staff for their care. I was one of the fortunate mothers who only just made it to the delivery room in time to give birth on the second occasion, after having only 2 hours labour after being induced the first time. It is fortunate that I did not have a third confinement or I may have given birth on the hard shoulder of the autobhan from Bielefeld! However it is for the care I was given during our three year posting for a chronic disease that I will always remember BMH Rinteln. Having been diagnosed shortly before being posted to Germany I was quite ignorant of this complaint and was told that, as it was a geriatric complaint, there were not many cases in a service hospital. I was often asked if I minded groups of nurses being present at various stages of my treatment for the experience it gave them. I did not mind and was only too glad to "help". However I was greatly surprised when I was eventually admitted to a hospital in Northern Scotland and found that there was a whole ward of patients with the same complaint whose ages ranged from 9 years to 69. I no longer felt like a curiosity. However I am grateful to the staff who attended me between 1974 and 1977 during my many stays in their tender care. Anne. Here are my thoughts and past memories of Rinteln in the early 70's when I was a young recruit serving in BAOR. The fashion of the day, in the 70's, was to have long hair back in blighty - To avoid being 'picked up' for long hair on the Friday RSM's parade, before going on leave later that day, I reported sick with a black spot on my foot. I was immediately taken to Rinteln hospital to see a consultant who surgically removed the spot and put me on crutches for 12 days - needless to say I missed my leave. I remember the kind trainee nurses whose job was to do all the mopping and cleaning of the wards for a year before they could become fully fledged nurses - they were always most friendly to us and made us laugh. I was in a ward with a musician who was having some sort of operation on his hand - we had great fun and because we had no one to visit us - we visited each other. Because he could walk he was ordered by Matron to push the tea trolley round the wards - whilst I was able to lounge on my bed all day - that was until the physio found me and started me back on a course of rigorous exercises. Two men were also put in with us to have a Vasectomy under GA - One was big and brash and always shouting the odds about how easy the operation would be whilst the other was small and quiet. When they both came back from their op the big man was spark out for about 24 hours whilst the quieter man was up and about almost immediately. My next visit was then in the eighties when my twin daughters were born - but that's another story!!! David. We were delighted to hear from John McKnight who was a Corporal in the Royal Engineers and was the quiet man mentioned above! I came across the site while I was looking for information about Hamelin as I was stationed there from 1971/1976. I happened to read a few stories about Rinteln Hospital and came across the one about the two guys in for a vasectomy under GA. I am99.99% sure the quiet one of the two was me and the date was 4th July 1974. I went down for the op around 0900/1000hrs and came at lunch time, the other guy had followed me and was back in bed, but out of it. A young nurse came and as I was sitting up in bed asked if I was ok, and did I need anything, I asked if I could have a cup of tea and a fag. She did not bring me the tea but a different nurse did, and again she asked was I feeling ok. About 15mins after this I was offered lunch, which I had - and desert. I had a nap and woke up around 1700hrs and I think there was a shift change as a staff nurse came into the ward and again as I was the only one awake she said to me, so you are the one that's keeping everyone busy, she said that I should be still out. The officer that discharged me the following morning told me not to keep his nurses so busy next time, I did go back a few years later with a hand injury, but this time kept a low profile! I lived in Germany in the late forties and early fifties whilst my father served in Hobart Barracks, Detmold. I was actually born in Rinteln in September 1949 when it was known as RAF Rinteln, then stayed in Germany until I was four. At the age of seventeen I joined the army myself and in time was posted to Germany, where I served in Osnabruck, Detmold, Gutersloh and Mulheim. Whilst serving in Gutersloh and as a married man my wife became pregnant and eventually gave birth to my eldest daughter, Alison, in May 1975. By coincidence she was born in BMH Rinteln, the very same hospital as myself. Not overly unusual, I suppose, though possibly a rare occasion. What made the birth of my daughter even more special was the fact that after talking to the ward Matron (a Major, I believe) I explained that I was returning to my place of birth, albeit 26 years later. The good lady then took me to the archives to check out my birth registry only to find that Alison was actually born in the same ward as myself. Now, I do believe in coincidences but for father and child to be born in exactly the same hospital, and exactly the same ward several hundred miles from our childhood area must be extremely long odds. Sadly my memories of Rinteln are not so fond as the others on this page but they may raise a smile. 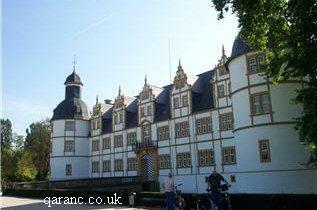 In the late 1960s my father was stationed at Barker Barracks and we, his family, lived in the nearby married quarters situated near Paderborn. I was aged around nine to ten and it was decided that I needed some orthodontic dental treatment and Rinteln was where I would get it. I had to have a brace fitted to my upper teeth and would make regular subsequent visits to have the brace adjusted. For some reason, I nearly always had to make this journey by myself on the regimental mini bus with only the German driver for company. I expect my mum who didn't drive, couldn't leave my siblings for long enough to come with me. Anyway, the journey from Paderborn to Rinteln for someone so young seemed to take an age (it used up the whole day) and I always got travel sick. I probably complained bitterly to my parents but don't remember getting much sympathy except being told to eat a good breakfast and take a book to read to take my mind off it (reading must count as the worse thing to do when susceptible to travel sickness, but I was too young to know any better). Almost every journey, I vomited. The reactions of the poor drivers, whom I don't remember being able to speak English, would range from sympathy to anger as I would end up in tears with vomit in my hair feeling awful and embarrassed about my inability to control the contents of my stomach. I remember watching my vomit travel up or down the lines that formed the pattern of the bus's metal floor, mirroring the rise or fall of the road we were travelling on. The humiliation didn't end there either as even at my tender young age I was very self-conscious and aware that I didn't smell nice. My mouth was the last place I wanted someone to look as I never got the opportunity to clean my teeth or at least swill it out before my appointment. I had to wait for ages for my appointment and then ages more for the mini bus to take me home again. The orthodontist I seem to recall was a male army officer who was very unsympathetic and gruff with me; needless to say I didn't like him. Once my grandmother came to stay with us for a holiday and she agreed to make the dreaded journey with me. I have never forgotten that occasion as I was so happy to have her company I didn't throw up! Eventually my father was posted back to the UK and I was delighted never to have to darken the doors of Rinteln again! This a story that has been reminded of me so many times and told to various friends and relatives. But brought to mind again by my daughter, who is now 46 years old, who this week made a surprise visit to where she was born all those years ago. The story begins in the later days of April 1966 when I was stationed at Herford. My wife Wendy was pregnant with our first child and, unbeknown to me, was told that as soon as her waters "broke" she was to make haste at all speed to get to the MRS in Herford. Anyway she did not go as she was told, and I then noticed that she had indeed broken her water. I contacted the MRS and the duty doctor did not waste a moment and sent his driver and his Mini to our address to get us to Rinteln at good speed, well it was getting on in the evening and the driver said that he had been there in the morning and knew a short cut to save some time. But he said when we were nearing the hospital that it was illegal to go in the short cut way and so he would have to switch his headlights off, so he and I were peering through the windscreen in the darkness, with that I told him to switch on the headlights for a brief moment, which was a good decision as we were going straight in to the cricket nets from the bowlers end. Had we have gone any further I am convinced that the nets would have enveloped us and she would have had out daughter there and then. We eventually reached the maternity section where I was told by a Captain wearing a lovely red cloak that I should leave immediately, being only Corporal I did as I was told, saluted the Captain, kissed my wife on the forehead and beat a hasty retreat. The midwife I remember that delivered our daughter was called Sister Spratt. My wife had such a hard time delivering our daughter; she had to have a forceps birth that she said never again would she go through that pain again. However six years later and a couple of postings later we did have another daughter, and like-wise she was also delivered by the same Sister Spratt, who like me had been posted away and gone back to Rinteln for another posting. My Father Ron Teague reached the ripe old age of eighty in 2006. He had spent most of his working life in the army. It was only in his later years that he talked very much about his experiences during the Second World War. He mentioned that he had driven a half track during this time. I researched the vehicle in question, to buy him a model for his birthday. After the usual cut and thrust on e-bay, the Mk.3 halftrack model duly arrived. It was a splendid replica, but I thought my Father needed something more significant to mark four score years. 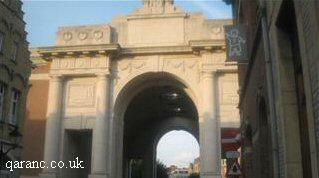 During the war my Father was stationed in Ieper, or Ypres as it was then, in Belgium. He was billeted with the Marico family, who ran a bakery in the town. Many years on while working on security at 10 Downing Street, Dad was speaking to a Belgian policeman. The officer was a member of a delegation visiting Margaret Thatcher. The policeman was soon hearing about Dad’s time in Flanders and the Ardennes. As the Belgian party left the gendarme promised to use his detective skills to see if any members of the Marico family were still alive. Word later came back the daughter Henriette was alive, well and still living in Ieper. 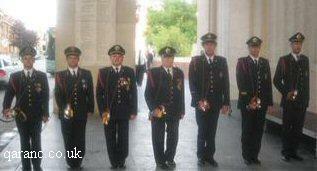 This led to a reunion and many family visits to Ieper. Henriette is married to Maurice; they are a charming couple whose hospitality is legendary. They love nothing more than to entertain over a good meal and several drinks. Dad was a member of the 5th Royal Inniskilling Dragoon Guards, and was stationed for many years in Paderborn and Sennelager. 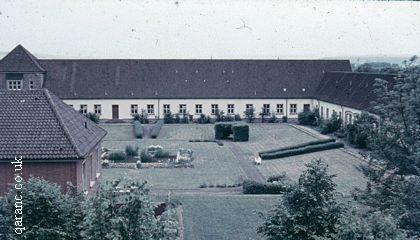 I was born in the British Military Hospital Rinteln. The Skins have now become the Royal Dragoon Guards and are back in Germany. An idea was forming in my mind. 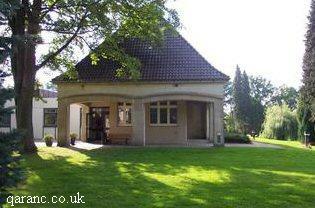 What about a trip with Dad and Mum to my birthplace, where we used to live and to visit the regiment in Munster Germany. Then we could push on through the Ardennes, finishing up with a combined assault on Ieper! I talked it over with my long suffering partner Joanna. She has seen more than her fair share of Commonwealth War Graves, battlefields, World War One museums and military monuments. She probably holds the world record for the women’s 100 metre dash, from the square to the Menin gate. We have cut it fine a few times, but haven’t missed a Last Post yet on our visits. She also does all the driving in foreign parts. Even after seeing the distances involved in our Big Push, she agreed. Now it was time to put the idea to my Mum and Dad. We talked it over during Sunday lunch in their local. I think it came as a great surprise to my parents and they were a little concerned about the distances involved. They both have diabetes; my Father also has a heart condition and a pair of dodgy knees. I assured them we would limit the distances each day, with regular breaks. They agreed; time to put the plans into action. My first port of call was the Royal Dragoon Guards. The Adjutant Captain Ben Watts and Captain Simon Watson were exceedingly helpful. A date and itinerary were agreed and now the logistics of moving through Europe had to be organised. Stansted is our local airport, while Mum and Dad live near to Heathrow. So we came to a compromise. We would leave on Friday 22nd of September returning on Tuesday 3rd of October. Flying from Stansted to Paderborn, by Air Berlin and returning from Brussels to Heathrow, by BMI. Picking a hire car up at Paderborn airport and returning it to Brussels airport. Hotels were booked with booking.com. This is an excellent internet service. However we soon found out the hotel you book on the screen is not always as described! In all my reservations I mentioned my parent’s age and that stairs would be difficult for my Father. D-day arrived (departure day). Weather conditions were far from ideal; in fact it was an awful day. Torrential rain, low cloud and poor visibility. Before leaving the house I checked that everyone was aware of the hand luggage restrictions, and that liquids could not be taken into the cabin. We left for Stansted in high spirits. All our planning was coming together. The prospect of being back in Germany, for the first time in more than forty years was very exciting. Check-in proceeded without a hitch and we collected a wheelchair for Dad. Not only did this make his passage to the plane easier, but it fast racks you through the airport. On to the hand baggage search area. Things were going really well as we were ushered past the long queue. The usual formalities, questioning about prohibited items, baggage search, X-ray machines etc. We proceeded through only to find my Mother had been detained. The security officer reminded her about the restrictions. Holding open one of my Mother’s bags, the officer produced a half-bottle of brandy! My Mother assured the official that it was purely for medicinal purposes. She then added reassuringly that there could be nothing wrong with the contents of the bottle. She had purchased it at the Co-op the day before, and it certainly had not been out of her sight. I heard the conversation take place from the pillar I was hiding behind. My Mother’s spirit of cooperation disappeared as the offending bottle was thrown in a bin. She muttered something about it being used in the airport Christmas party. Any attempt by me to explain to Mum why she could not take the brandy on to the plane fell on deaf ears. As soon as we were airside you could buy and take on the plane as much brandy as you wanted. My Mother looked at me knowingly! Thus another Teague family legend was born. We could see the World headlines already: JOYCE TEAGUE THE BRANDY BOMBER! The next problem soon appeared. We arrived at the boarding area. It was clear to all that my Father was in a wheelchair. But no one arrived to take him to the plane. Everyone else had boarded apart from Dad and me. Someone eventually came, we then had a tour of the runway in the rain, before eventually boarding. We had a pleasant flight, with food and hot drinks being served. We touched down at Paderborn International airport, in bright sunshine. No problems with the wheelchair here. The operative greeted Dad with typical German efficiency. Dad was in the wheelchair before he knew it. It soon became clear our man had trained at the Michael Schumacher School for Wheelchair operatives. When we finally caught up with Dad he was in baggage reclaim. His knuckles still white from the ride. The next task was to find the Hertz car hire office. No sign of it in the airport whatsoever. I must admit to a slight panic at this stage. Had I misunderstood where the office actually was when booking on the internet? It was after all a rather small airport. Perhaps it was in Paderborn itself. If it was this was going to mean a bus journey. This would also cast a black cloud over my role as organizer extraordinaire! My cold sweat subsided when Jo and I finally found the office. It was located in the bowels of a multi storey car park. I waited with the luggage while Jo dealt with the paperwork. As I waited I tried to work out how we were going to get all this luggage into the boot of a Volkswagen Golf. Jo and I had talked about the hire car on the plane. She said more often than not you did not get the car you booked. What if they gave us something smaller? My spirits rose when we were ushered to a gleaming and rather large Seat. They immediately fell again when I noticed there were no rear door handles. I explained to the man from Hertz that we had to have a four door car. He looked at me in a strange manner. The ‘Germans’ episode of ‘Fawlty Towers’ flashed through my brain! I became Basil and said I was not moving until he found a four door car. Herr Hertz smiled and led me to the rear of the vehicle. The opening device for the back doors was cunningly concealed in a groove in the rear side window. Instead of putting the luggage into the boot, I wanted to crawl into it. We set off for Rinteln. Apart from travelling in completely the wrong direction for about two miles, we arrived at the hotel safely. 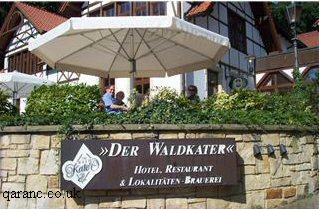 The Waldkater hotel is a superb establishment. It is situated on the edge of a beech forest at the foot of a steep hill. There were many reasons for me choosing it; not least that it had its own brewery. No problem with the stairs here. We were on the ground floor, near the front door and reception area. The rooms were immaculate, with forest views. The deal I had secured included all meals during our stay. A three course meal on the first night in the brewery, and a six course banquet, including champagne, on the second. 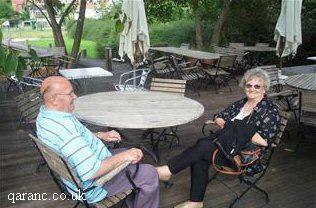 It was such a lovely evening we dined al fresco, on the patio overlooking Rinteln. We found a table close to the brewery. As the evening wore on we could see the lights of the town and the floodlit spires of the churches. It was a wonderful start to the first evening of our holiday. The next morning broke bright and sunny. Over breakfast Mum and Dad told us of how they had seen a deer and its baby grazing outside their bedroom window. Strong stuff this German beer! We planned our day. A trip to the hospital where I was born and then into the town. This picture shows the Teague family back in BMH. Rinteln fifty-six years after my birth. My Mother told us that the Mums to be stayed in a nearby hostel prior to the birth. This was in Bad Elsen about five miles away. Ante natal care involved trips to the hospital in the back of a three-ton truck, in the middle of winter. As the birth drew near they stayed in the maternity unit. Hard to think of Posh Spice and today’s modern Mums going through this! 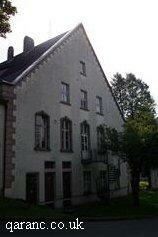 The hospital is no longer used by the British army. 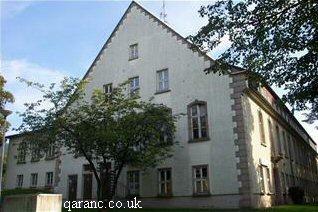 It is now back in German hands and is a rehabilitation centre for disabled people. 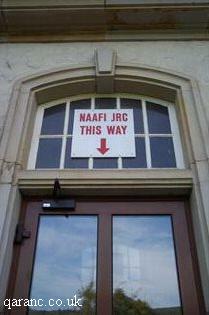 The NAAFI and junior ranks club sign over a doorway serves as a reminder of bygone days. 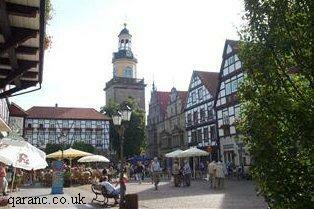 We then moved on to the town of Rinteln. Saturday is market day. The town centre was very busy. The architecture is very interesting. Rinteln is a captivating town, well worth a visit. Back to the hotel for a spot of lunch. A quick quality control check on the hotel’s beer and a relaxing afternoon in preparation for the night’s six-course banquet. A wonderful evening ensued. The food was sensational. Six courses later and after a nightcap in the brewery, we retired to bed. Sunday morning after breakfast we left Rinteln, en route for Schloss Neuhaus. This beautiful moated castle is near where we used to live in Sennelager. It was here that I first learned to ride on the regimental polo ponies. 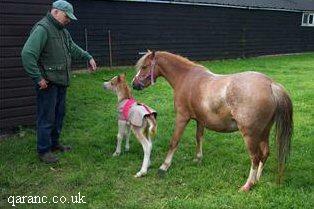 By the time I was eleven I was riding one pony and leading two, to and from the polo ground at Bad Lippspringe. These events were to shape my life. When my Father was posted to Northern Ireland I was looking after Captain Ansell’s point to point horses, out of school hours. I was determined that when I finished my studies I would earn my living with horses. My Dad did not think this was such a good idea. He thought I should be more realistic. It was organized for me to go to the Kings Troop R.H.A as a potential recruit. I enjoyed my time at St. Johns Wood very much. A visit to the naughty step did concern me though. I was shown the harness and carriage room. In this vast area of tack and equipment was one solitary soldier on jankers with a tin of Brasso. Events were to overtake me however. I was first diagnosed with epilepsy, which prevented military service. I have lived with this condition ever since. Regardless, I have earned my living with horses ever since. We arrived in Munster safely and located our hotel. It was by no means as luxurious as in Rinteln. However it was near York barracks and the restaurant overlooked a pleasant churchyard. Any thoughts of an early night soon evaporated! The Teague family has a Long-standing love affair with the Jack Russell terrier. Maddy, Steeleye, Span, Graucho, Sally, Eric and Laura will all bear witness to this. As we dined a couple came to sit at the table next to us with, yes you guessed it, a Jack Russell terrier. In broken English and some excellent German from my Mother, we passed a very pleasant evening. A friend of the couple arrived. He was a computer executive for BASF. He was a very pleasant young man with an excellent knowledge of English. The Bitburger Pils flowed and flowed and flowed. Not such an early night. Monday morning we arrived at the main gate of York barracks at 08-30 hours. We were greeted by Warrant Officers McConaghy and Parr. My Father was visibly moved when a piper played as we walked into the mess. From here we moved on to SSM McConaghy’s office. Over a cup of coffee we were updated about what the Regiment had been up to in the past and its role in the future. Next stop was the tank park. One of the impressive Challenger tanks had a metal staircase along the near side. We were invited to have a look over the tank. I did not think my Dad would be able to manage the stairs, so I walked up and climbed inside. The young man showing me over it obviously took a great pride in this piece of armour. He knew every fact and statistic, showing me how the turret and gun controls were operated. We moved from the turret to the driving compartment. I thought how sad it was that Dad was not able to do the same. I left the drivers seat and was shown the off side examining the wheels and tracks. As we walked round the back I asked my Mum and Jo where my Dad was. ‘IN THE TANK’ they replied in unison. I could not believe it. My Dad had one knee joint replaced and was waiting to have the other one done. I climbed back up the stairs and into the turret alongside Dad. He was in seventh heaven, operating the turret and sighting the gun. He was amazed to find the tank was air conditioned and you could make a brew in the turret. Now came the interesting bit, we had to get Dad out! Two strong Royal Dragoons took a hold under his armpits, from outside the turret and I pushed Dad’s feet from the inside. Somehow we got him back onto terra firma. Back to the mess for a mid morning break, before moving on for a meeting with the Commanding Officer. This meant so much to my Father. I have to say thank you to everyone at the Royal Dragoon Guards who made this visit possible. Taking time out from their busy schedules is appreciated very much by the Teague family. The next port of call was the gunnery training unit. Here we were amazed to see tank simulators similar to those used to train pilots. We were amazed to learn the simulators could be linked together and a virtual battle fought on a computer. We then tried our hand on the gun firing simulator. Whoever our enemy was, I don’t think Dad and I would cause them too many sleepless nights! Moving on back to the mess for a guided tour, then lunch. RSM Pennington looked on in awe as he worked out my Mother’s brandy to sandwich ratio. We were made very welcome by the other members of the mess, and enjoyed our buffet lunch. All too soon it was time to depart, while there was still some money left in the Mess guest’s account. We thanked our hosts for a most memorable day. 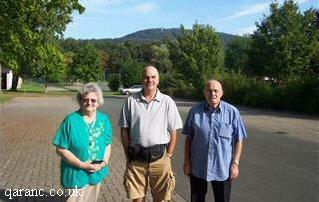 After a photo call outside the mess we were on our way to Winterberg, scene of many family holidays. On our way I noticed we would be travelling close to the Mohne dam. I remember visiting the area as a child. It was not on our itinerary but I asked if Mum and Dad would like to see it again. They said they would. The only problem being I had not downloaded a map of the area and time was a bit tight. We found the reservoir no problem. Unlike the Dambusters we failed to locate the dam! We arrived in Winterberg a little behind schedule. A lovely hotel. Yes it had stairs, but after managing to circumnavigate a Challenger there were no complaints from Dad. A good meal, a few drinks and a much needed early night. The next morning we travelled through some beautiful countryside to Urbar, near Koblenz. The hotel owner greeted us, and then told us that the restaurant would not be open. I asked to see the rooms and was taken there via the equivalent of the north face of the Eiger. I referred him to my booking and to the fact that my parents could not manage the stairs. Mum and Dad were given a ground floor apartment. We dined in an excellent Greek restaurant nearby, overlooking the Rhine. The waitress was only too pleased to show off her knowledge of English. We had a wonderful meal with several complimentary glasses of ouzo. On Wednesday morning we crossed the border into Belgium. We were heading for the town of Poteau in the Ardennes. 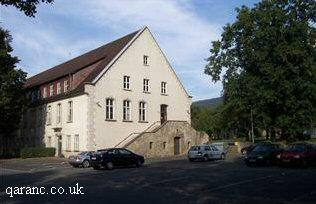 This was the scene of some fierce fighting in the Battle of the Bulge. There is a museum situated near the scene of a major battle. They have a working half track. The proprietors Rob and Jacqueline had agreed to open specially for my Dad. We received a wonderful welcome. Some Australian tourists were also there. Rob had arranged for them to visit on this special opening. It was not long before Dad was back in an armoured vehicle again. We set off in the half track, Rob and Dad in the front. Jo, Mum, the Aussies and myself in the back. 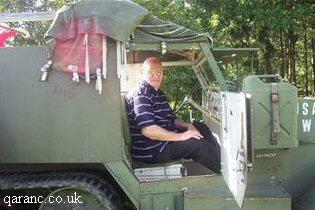 Rob introduced Dad as a veteran who had served in a similar vehicle in the area during the war. During the ride one of the Australians asked me if I was a veteran also! I pointed out that would be rather difficult as my Father was in the front. She apologized and muttered something about meaning the Vietnam War. This really did not help. I would have had to have been a child soldier at the time! I realised the late nights and too much beer were catching up with me. I also looked in the Belgian phrase book for moustache dye, and buying a wig. We then toured the extensive array of exhibits in the museum. After a cup of coffee with our hosts we headed for our hotel in nearby Vielsalm. As you enter this small town a Sherman tank acts as a memorial to past events. We spent a very pleasant evening in a local restaurant. The owner was also the chef and the waiter. Although the eatery was empty, a table was set for more than a dozen people, with uncorked bottles of red wine. Despite the language barrier we ordered some drinks and eventually enjoyed an excellent meal. As we were eating our food, the reserved table suddenly filled up. It was the Vielsalm cycling club. One of its members came to our table. He spoke very good English. We explained that Dad was part of the forces that had liberated the area. He stood up and said something in French to the rest of his comrades. The table fell silent momentarily. At once everyone rose to their feet and started to clap. The word VETERAN rang round the table as the cyclists looked towards Dad. We all felt immensely proud. As the velocipedians sat down, mine host appeared at our table. He placed a bottle of scotch in the centre. The rest of the evening is something of a blur. At breakfast we discussed our route to Ieper. Dad had told us about spending Christmas in and around the village of Bure during his service here. This was our next port of call. Dad remembered the church. We spent an interesting time looking at the various memorials on its walls. I thought back to the previous evening. It is reassuring that after sixty odd years the Belgian people are still grateful for what my parents’ generation sacrificed. We left the Ardennes and headed for Ieper by way of the Belgian motorway network. No hold-ups or traffic jams and after a spot of lunch we arrived in the early evening. I had booked the Hotel Old Tom as Jo and I had stayed there before. It is beautifully situated in the square in Ieper. Very friendly hosts, staff and very reasonably priced. Later that evening we met with Maurice and Henriette at their house. A large bottle of champagne was consumed, before dinner at our hotel. Next morning after breakfast we had a walk around the square and Mum had her hair done. We met Maurice and Henriette around midday. We were going to eat at the Waterport restaurant. This is another exceedingly good place to eat. It is also situated next door to the bakery where Dad was billeted during the war. Many stories were told about Dad’s time there. This photograph shows (from left to right) Henriette, Dad, Mum and Maurice outside the bakery. The window looks out of the room Dad stayed in. It is still a bakery today and has a mouth-watering display of bread and cakes in the front window. After a long lunch we returned to the shops. This time Dad was doing the buying. He bought a flower arrangement to place on Henriette’s Mother’s grave. Dad often talks about how well the Marico family treated him during the war. He regularly mentions a special dish that Henriette’s Mother made using eggs. This was a very personal moment as Dad, Maurice and Henriette walked into the cemetery. I think it meant so much to Dad to have a bit of family life amidst all the chaos and conflict. The war was not an easy time for our hosts either. Before Dad was their tenant, the Marico’s had to accommodate German soldiers. Maurice was taken as forced labour to Germany where he was made to work as a baker. It is hard for us to imagine how uncertain those days were. From the cemetery we returned to the square. We spent an hour or two watching the world go by over a few glasses of ‘Leffe’and retired to bed. Saturday morning was another fine day. We looked out from the hotel to find the square had been transformed. Instead of parked cars there was a bustling market. After breakfast we scoured every stall searching for bargains, returning to the hotel laden down with local produce. After a light lunch and a lazy afternoon we headed for Maurice and Henriette’s house, early in the evening. This time we en route to the home of their relations, Fernand and Christine. Here we spent an evening of breathtaking hospitality. Good company, good food, good wine and beer. A wonderful evening. We returned to the hotel in the early hours of Sunday morning. Somewhat relieved to find that the room key also opened the front door of the premises! On Sunday morning, rather later than planned, we drove south out of Ieper. Our destination was Kandahar Farm Cemetery, near the village of Wulvergem. 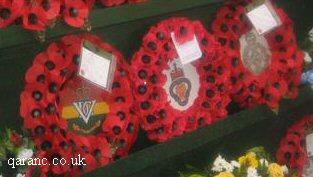 This Commonwealth war graveyard is the final resting place of Jo’s Grandmother’s Uncle. Corporal Burgess came from Walthamstow. This area of Belgium was held by the allies from November 1914 to April 1918. It was then captured by the Germans. It was retaken at the beginning of September 1918. Corporal Burgess was killed the following month. Twenty nine days before the end of the war. The Teague dynasty also has a connection with this area. 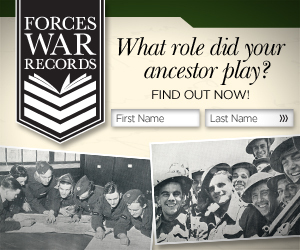 My Father was not the only member of our family to serve their country in Ypres. My Grandfather, Corporal Frank Teague, was in the Monmouth Regiment. 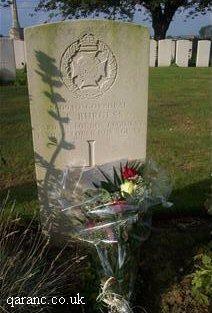 He was invalided out on the eighth of April 1915. 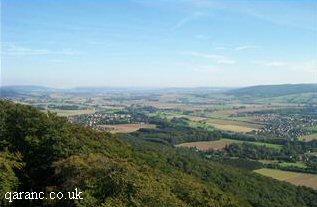 The Monmouth’s were in the Wulvergem / Dranoutre sector at the time of Frank’s injuries. His medals have pride of place at the head of the picture gallery, which adorns the hall of my parent’s home. The 5th Dragoon Guards also fought in this locality. Returning to Ieper we had lunch in the square. We then visited the museum in the Cloth Hall. I have visited this very interesting building many times. 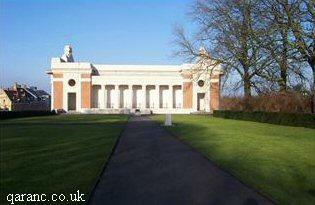 It deals with all aspects of life in and around Ypres during the Great War. Recently during excavation work on a building site a section of trench was discovered, known as Yorkshire trench. It is a few miles north of Ieper. A model in the museum shows how the trench system would have looked. 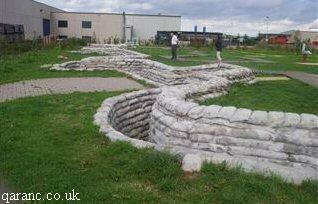 The trench itself has now been restored and it is possible to visit the site. You can walk through the trench and stand on the firing steps. It is not possible to go below ground due to constant flooding. A reminder of the terrible conditions the troops endured. Another interesting museum can be found in the ‘Toc H’ building at Poperinge. This is where the allied troops went for rest and rehabilitation. There is a mock up of the concert hall. A very amusing film shows the entertainment the troops would have enjoyed. It really gives you a feel of how things were. With a full stomach and a sense of well-being, we headed for a very special place. There is a monastery nearby, where the monks brew an excellent drop of beer. I would love to tell you what a fantastic time we had sampling the brews and rounding off a perfect day. I am afraid I can’t, the abbey was closed. It would seem you can have too much of a good thing! So we headed back to Ieper and had a farewell drink or six with Maurice and Henriette, around the square. After a nightcap in the Old Tom, we attempted to pack our luggage and crawled into bed. The alarm soon reminded us it was time to depart. With great sadness we bade farewell to Maurice, Henriette and the fair town of Ieper. Many thanks to the Commanding Officer, Officers, Warrant Officers, Sergeants and Other Ranks, of the Royal Dragoon Guards, who made this a special day for my Father. It is a day we will never forget…..
Also to Maurice, Henriette, Fernand, Christine and the people of Belgium. Your friendship and hospitality has a special place in our hearts.